Sankt-Peterburg, Leningrad region, Russia, on 10 January 2014. Doctor optometrist prepares lenses for glasses. Lens treatment. In laboratory prepare optics. Optic Lenses. Vision and eyes. Medicine. hd00:30Optometry in the laboratory, prepare lenses for optics. 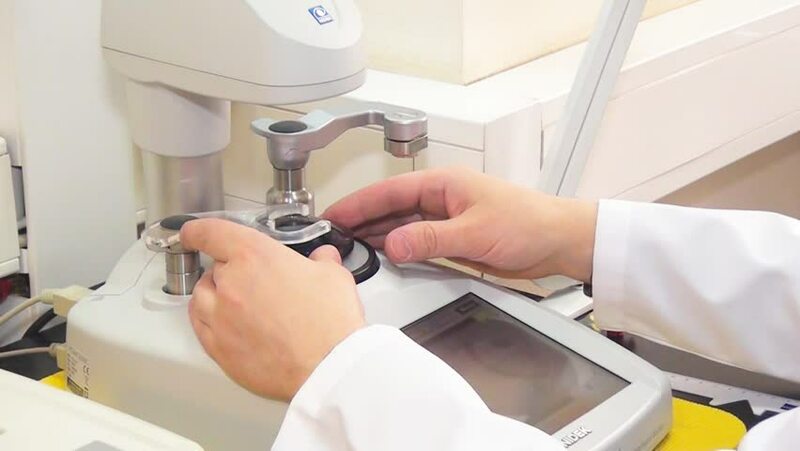 In the lab the doctor in a white coat is preparing eyeglass lenses. The improvement of vision. Modern lenses for ophthalmology. Medicine eye.